One of the most critical aspects of running a small business is to keep the cash flowing. 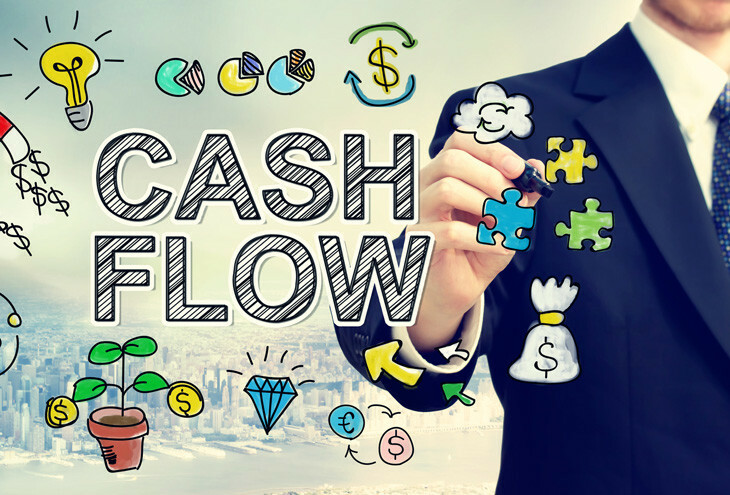 Cash flow refers to the amount of money coming into the business against the amount of money going out of the business. A positive cash flow is when you have more money coming in than flowing out, and this is what every business strives for. A negative cash flow is when less money is coming in than is going out on expenses. Let us look at ten hurdles that cause cash flow problems in a business. It is important to ensure that you have a good accounting system in place at the very start of your business so that you can keep an accurate record of the funds that come into your business and the way that they are spent. have a cash-on-delivery policy until they are recognised as good clients. It is important that the credit terms you have with your customers are similar to the credit terms with your suppliers. If you do this, it will ensure that you will have cash coming in that can go towards paying your suppliers. This involves invoices not being submitted to the customer in a timely manner. Ensure that invoices are submitted as soon as the goods have been delivered or services have been rendered. Sometimes business develop too fast and this may cause a problem with cash flow. For example, you may get a big contract but not have the manpower to cover the requirements so you will hire extra employees to assist with the new workload. When payday comes you may not have the cash to cover the salaries so you may need to get a temporary loan while you wait for the first payment from your new client. It is important to check if a new large client has the resources to pay their bills before going into business with them. It is important to review the total cost of the goods or service you supply. This is not only the production cost of the making the goods or providing the service but also the small hidden costs like rent, taxes, PAYE, etc. If the review of the cost shows that a price increase is necessary then it is important to make it. Customers may complain about the increase in prices and move their business elsewhere. They may also try to guilt trip you into giving them a special rate because they have helped build your business. Let these customers know that the price increase is necessary for you to stay in business. If the customer is a very good customer who always pays on time, you may consider giving them a marginal discount to appease them. When you start a business it is important to try and make sure you get your payments upfront, or at least a deposit before you start any work. Customers who are unwilling to pay deposits are generally not very good payers and you may want to stay away from them. It is important to work out how much money you need to have in your bank to keep your company afloat should you go through tough times. It is important to make sure you have an idea of what kind of reserve you need for a month, six months and a year.